No matter where you are in your search for your family history, you'll find reams of fascinating information on a wide variety of free sites. 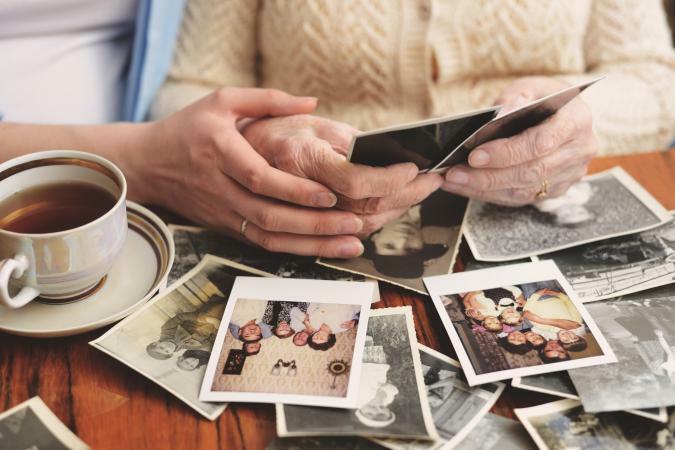 Whether you're building your family tree or learning about your ancestors' lives, the following sites represent some of the most useful genealogy resources on the internet. Even though RootsWeb.com is related to the paid site Ancestry.com, you'll find a large quantity of free information. The site is organized by types of resources, including genealogy search engines and tips on getting started with your research. You can peruse other people's family trees, discuss surnames and family history on message boards, and search a variety of useful databases. FamilySearch is maintained by the Church of Jesus Christ of Latter-day Saints. Here, you'll find powerful tools to search public records, free family history software, and information about how to begin your search. You'll also find information about researching African-American family history and Jewish family history. Family Search is a popular site that ranks number three on Genealogy in Time's list of the top 100 genealogy websites of 2016. The USGenWeb Project is a compilation of data gathered by volunteers throughout the country. The goal of the project is to provide comprehensive genealogy information for every state and every county in the United States. To find information about your state, click on the links available on the map featured on the main page. You can also visit the USGenWeb Archives for additional free information organized by state and by counties within each state. If you're looking for a website with ship passenger lists, tips on finding naturalization records for immigrant ancestors, Canadian genealogy resources, and a wealth of other useful information, Olive Tree Genealogy is a great place to start. 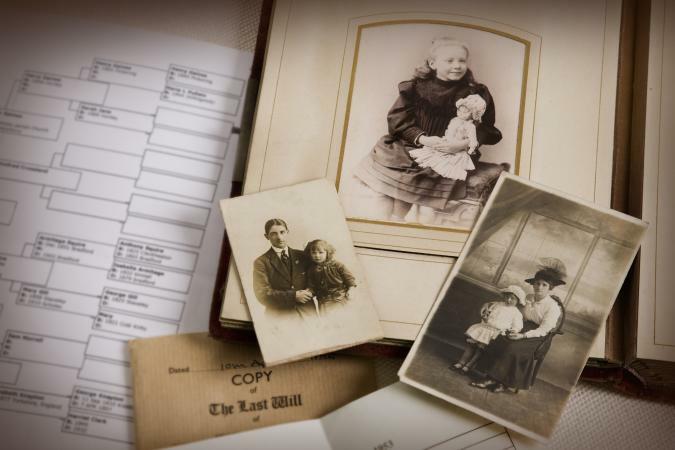 In addition to these items, you'll find a helpful guide for beginning your family history research. Access Genealogy is a great place to look for more unusual genealogical records. Here, you will find cemetery records, military records, Native American and African-American genealogy resources, local histories and biographies, wills, and many other useful resources. You'll also find a menu on the right side of the main page from which you can access information by state. Records include things such as court records and information from state genealogical societies. If you're just starting your family history search, you will find plenty of information at the U.S. National Archives website. It offers guidelines for researching your family tree, free databases and helpful tools, as well as searchable information like naturalization records, land records and bankruptcy records. Like the USGenWeb Project, the WorldGenWeb Project is dedicated to connecting people through genealogical research and providing a great resource for useful information. This site is a great place to look for records from your ancestors' native countries. From the homepage, you can access GenWeb sites for regions all over the world, including Africa, Asia and South America. NativeWeb Genealogy earned a mention on Family History Daily's list of 50 free genealogy sites to search today. You'll find links to an African and Native genealogy page, a Maori genealogy page and a tri-racial genealogy page. If you click on the American Indian and First Nations Genealogy page, you can peruse sites that are organized by specific tribes, such as Cherokee, Chickasaw and Creek. Family Tree Magazine lists AfriGeneas as one of its 25 best genealogy sites for beginners. AfriGeneas is dedicated to African-American genealogical research. To get started, click records on the menu at the top of the page, then choose Beginner's Guide. Searchable databases include census records, surnames, death records, photographs and a collection of slave data. If you have German ancestry, you'll want to check out the German Genealogy Server. You can peruse the GenWiki, host to a digital library that includes church records, address books and diaries. You can conduct regional research for such areas as Bavaria, Hesse and Westerwald and participate on a forum for researchers of German ancestry. These pages are written in German, so you if you aren't fluent in the language, let your browser translate them for you. Trustify, a site for private investigators, ranks PIBuzz's Genealogy Links as number three on its list of the 10 best free websites to research your ancestry. The PIBuzz page is a comprehensive collection of links, arranged by type. 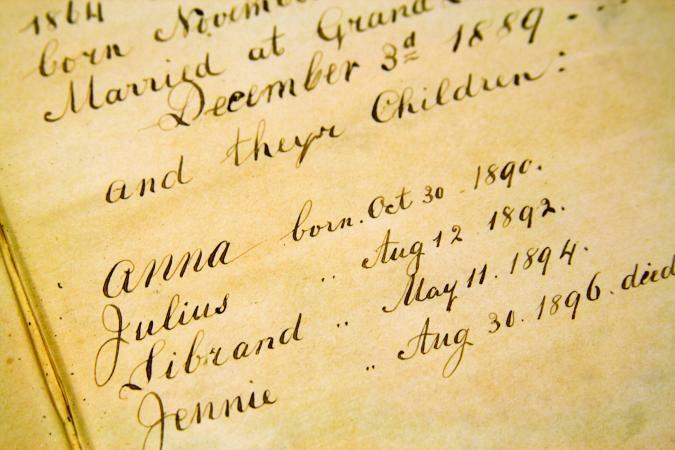 You'll find links to vital records for births, deaths, marriages, divorces and probates, and many of these are state-specific. Also on the PIBuzz page are links to census records, naturalization records and newspaper archives. The National Park Service hosts the Civil War Soldiers and Sailors System, which is a handy resource if you have ancestors who fought in the Civil War, whether on the side of the Union or the Confederacy. You can search service records of soldiers and sailors, research the histories of various units that were active in the war, and look at lists of prisoners of war, including Confederates who were held at Fort McHenry and Union soldiers who were held at Andersonville. The website for the Daughters of the American Revolution (DAR) features a well-organized and helpful page dedicated to genealogy. If you're just getting started with researching your ancestry, you'll want to browse DAR's helpful tips for beginners. When you're ready to begin your research, you can access the Genealogical Research System, which lets you search for ancestors and see entries in databases of Revolutionary War descendants, records from family Bibles, and transcriptions from cemetery records. If you're interested in immigrant and passenger data for your genealogical research, you won't want to miss this wide-ranging collection of links put together by Stephen P. Morse. Family Tree Magazine includes Morse's site on its list of the 25 best genealogy sites for beginners. You can access reams of data pertaining to passenger lists, census records, vital records and information on genetic genealogy. AARP includes the collections search function of the United States Holocaust Memorial Museum on its list of fifteen great websites for genealogy research. The Museum houses over 42 million records with information about Holocaust victims and survivors. You will find documents, oral histories, films, photographs and various publications. If you're researching Lithuanian Jewish ancestors, you'll find helpful information on LitvakSIG. Along the top of the site, you'll see a menu which you can use to learn about the site, access information from research groups according to district, and explore repositories, archives and given name databases. LitvakSIG also presents the highlight of their site, the All Lithuania Database, which features an efficient search tool you can use to find the information you need. Genealogy Today offers a plethora of information and tools to help you learn about your ancestors. You can start by plugging a surname into the search engine at the top left portion of the main page. The records come from a diverse range of sources, including telephone directories, prison records, church member lists and Masonic lodge rosters. You can search a great many historical records such as land records, orphanage records and graduation lists. The more you dig around on this site, the more you will discover. If you enjoy building family trees, you'll want to visit WikiTree. The site will help you build your tree and connect it to the family tree of humanity. WikiTree ranks number fifteen on Genealogy in Time's list of the 100 best genealogy websites of 2016. You can search for surnames using the search function on the main page. To fully participate in WikiTree, you must create a free account. JewishGen offers some tools for people who are researching Jewish ancestors. If you're new to the site or genealogical research, click Get Started from the menu at the top, then click First Timer. You'll get a variety of excellent tips. The site features a number of databases, including a Family Finder that includes surnames and town names, a family tree database, a Holocaust database and a burial registry. Hosted by the Department of the Interior's Bureau of Land Management, the General Land Office Records website is a treasure trove for genealogy researchers who are looking for records of ancestors who purchased land from the federal government, particularly land out West. You'll find over five million land records at this site, along with information about surveys and sales. The Italian Genealogical Group will be a great help if you're researching Italian ancestry. Though the site offers paid membership, it also offers free access to various databases, which include records of births, marriages and deaths as well as military records, church records, ship records and alien statement records. Castle Garden served as the United States' immigration center from 1820 to 1892, when Ellis Island opened as a federal immigration gateway. Also known as Castle Clinton, the area is situated in the southern part of Manhattan and has become a national monument. As part of your genealogical research, you can search Castle Garden records to find travel records for your ancestors who immigrated to the United States when the center was active. Find a Grave ranks number two overall on Genealogy in Time's list of the top 100 genealogy sites of 2016, and it's the highest-ranking free site on the list. You can search for your ancestors' burial sites, see images of their tombstones, and fill in their biographical information. Find a Grave allows you to search either for a deceased person or a cemetery. You can also send virtual notes, flowers and memorials. If your ancestors have been involved in disasters, you might want to visit GenDisasters to find out more. You can search for a specific ancestor using the search box at the top right corner of the main page. You can also search according to the type of disaster, the state where the disaster took place, or the year when the disaster happened. If you have Canadian ancestors who were involved in disasters, you can search Canadian provinces, as well. Are you curious whether your ancestors have already been included on internet family trees? You can find your answer by going to Family Tree Searcher, which searches eleven digital databases. You'll find a search form on the main page, with various fields to fill out like first and last name, year of birth, year of death, place of birth and place of death. Fill out each field for which you have the information. You must have either birth information or death information to get results. Hosted by the Library of Congress and the National Endowment for the Humanities, Chronicling America is a repository of historical newspapers that will be of interest to people doing genealogical research. You can find digitized pages of American newspapers from 1789 to 1924, and you can also peruse a directory of all American newspapers that have been published since 1690 and discover whether they're operating today. If they're still in operation, you can learn where to get them. MooseRoots is ranked number thirteen on Genealogy in Time's list of the top 100 genealogy websites of 2016, and it's in third place among the free sites. The site offers a wide range of tools for genealogical research, including census records, vital records, military records and immigration records. The site also offers DNA testing. MooseRoots includes an assortment of reference material such as the Consumer Price Index, a tool to research historical places, and links to other free genealogical resources. If you're interested in Romany genealogy, you'll enjoy exploring RomanyGenes. From the menu at the top, you can access family trees for Romany families, census records, court records, baptism records and parish records. You'll find a great deal of history about the Romany such as how and where they lived, and the site has a comprehensive collection of photographs, as well. With its huge collection of genealogy links, Cyndi's List can be thought of as a launchpad for your research. You can get started by clicking on Cyndi's list of categories; then you can browse away in such diverse records as indentured servants or the Wild West. If you're just getting started, maybe you'd like to explore the category devoted to beginners. Sponsored by the National Society of the Sons of the American Revolution (NSSAR), the Patriot and Grave Index is a helpful resource for anybody looking for information on ancestors who fought in the Revolutionary War. The site combines records from the NSSAR's Graves Registry with their Patriot Index. They make their records available for public research as well as for people who want to join their organization. If you've become experienced at genealogical research, you've probably discovered many records originated at the county level, but county boundaries have changed over the years. Consequently, a town in a particular county in the present day might have been in a different county a century ago. Thanks to the Atlas of Historical County Boundaries, you can click on any state, view the Interactive Map, then type in the date for which you want to see the county boundaries for a state. Are you in search of obituaries for your ancestors? You might be able to find them at the Seventh-Day Adventist Obituary Database. You can search for ancestors by using their names, by any keywords you think might be associated with a given obituary, or by an ancestor's date of death. BillionGraves.com is a project where people take photographs of headstones, then upload them into the website's directory for people to find. The cemeteries are GPS-tagged, so they can be easily indexed in the database. To find an ancestor, type the person's name into the search function. You can refine your search by date of birth, date of death and the country, state and county where the person died. If you're researching ancestors who were immigrants, you can use the Ellis Island Passenger Search page to find them. The site hosts over 51 million ship manifests of passengers who came through Ellis Island from 1892 to 1924. To start, type your ancestor's first and last names into the areas provided on the main page. You'll be able to refine your search through filters and options provided on the results page. Family History Daily's Free Genealogy Search Engine is a powerful tool, allowing you to use Google to search multiple websites that offer free genealogical information. All you need to do is type the name of an ancestor into the tool, and it will bring back results you can examine at your leisure. Dead Fred is a photograph archive for people who are researching genealogy or trying to find pictures of an ancestor. It's also a great deal of fun. You can search the photos in several ways. First, you can do a quick search for a specific surname. You can also browse lists of surnames, alphabetically arranged, or type in keywords. There are mystery photos, whose subjects haven't yet been identified, and you can enjoy browsing those, as well. Who knows? You might even identify a long lost ancestor. If you have British ancestors, you might be able to find good, solid genealogical information at FreeReg, a website where you can search parish registers from the United Kingdom. You will find vital records for births, deaths and burials going all the way back to 1538, which is when parishes in Wales and England began keeping such records. People with Irish ancestry will want to check out the genealogy webpage at the National Archives of Ireland. It will allow you to conduct free searches of census records, wills and registers, crew lists and shipping agreements, Catholic convert and qualification rolls, and other historical documents and records that date back to the late 1500s. Are you conducting research into ancestors from the Netherlands? If so, you'll want to check out WieWasWie. The site contains records for over 130 million people. WieWasWie is a repository of information from numerous sources, including birth, marriage and death records, church records, military registers and population statistics. To get started on WieWasWie, type your ancestor's name into the search form in the middle of the page. If you're researching Swedish genealogy, then you will want to take a look at Släktdata. You can search the site's records for free, which come from indexed church books. To do a search, click on Record Search from the menu near the top of the page. Fill in the search form as completely as you can. You can also browse a Record List which includes data on townships. GENUKI is a site you can use to research ancestry from the United Kingdom. If you're interested in records from England, Scotland, Wales, Ireland, the Isle of Man, or the Channel Islands, you can click on a place name on the menu to the left and go to those records. If you want to peruse the church database which holds records from all those countries and regions, click on that link in the Quick Links menu to the right, and you can refine your search from there. Fulton History is an intriguing site that features old postcards and historical newspapers. You'll find a search form to the left of the page and a chat function to the right. Just type in your search terms, such as the name of one of your ancestors. You'll get back search results that include links to old newspaper pages in PDF format. 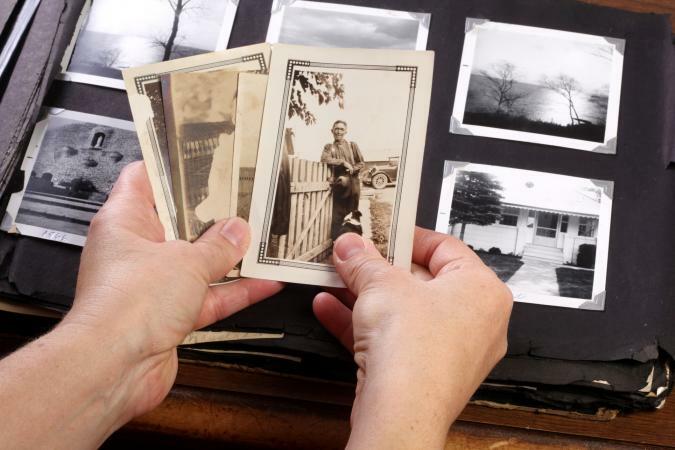 You might discover all kinds of interesting facts about your ancestors' lives to round out your family tree research. It should be easy to search on the site. Expect to find a basic search form, and in some cases, an advanced form. The advanced form will let you further refine your search results by entering additional information. The site should include information about sources. Whether the data comes from the United States Census or a family's personal correspondence, you should be able to identify the source. Most genealogy sites include advertisements for software or paid memberships, but you should not be required to provide any billing information to access a site that provides free information about genealogy. Now that you know where to look, it's easy to start researching your family tree online. Gather the information you already have, including birth dates, death dates, marriage dates and place names. Then use this data as a starting point. You'll be surprised at how easy it is to access useful and fascinating information, and you'll enjoy completing your family tree for free.